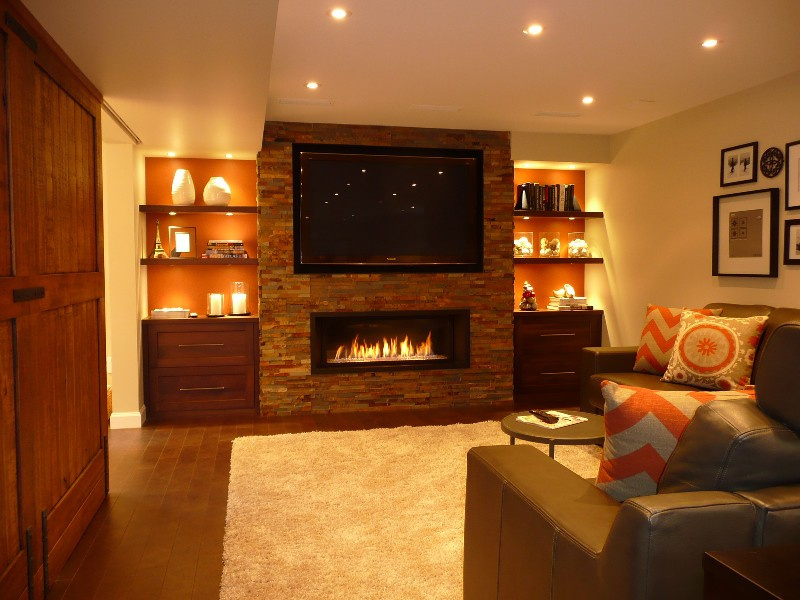 Fireplaces Services - design, manufacture & install cabinetry & millwork - Kitchener, Waterloo, Cambridge, Guelph - Homestead Woodworks. Achieve the most “warming” effect on any room by adding a fireplace. 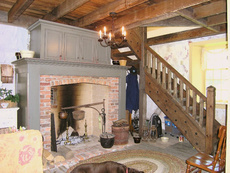 Before central heat was a standard, a fireplace was the only source of heat. Our goal is to capture the original glow that a fireplace added to a room, with an authentic mantel and hearth that would be true to scale on an actual historic fireplace. Scale and proportions are very important in bringing out the charm and beauty. 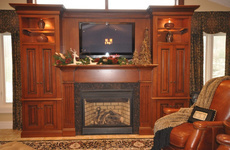 For storage and added character, additional wall units can be incorporated in the fireplace design.